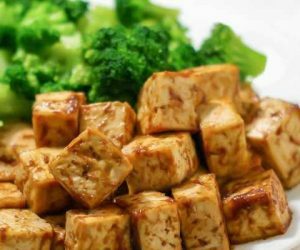 You can prepare your own tofu, at home, not expensive and 100% natural. Tofu is a cream made out of soy milk in combination with a coagulant, pressed in different shapes. Tofu is found in shops in different shapes and textures. The soft variety can be used to prepare sauces, dressings, to substitute milk in ice-cream or cheese pie. The solid tofu cand be fried, grated, used in pickles, smoked, baked or simply raw, as it has a texture similar with meat. Tofu is obtained in a procedure similar to the preparation of any other cheese. You’ll need about an hour to turn the soybeans into cheese. Rich in protein, it is used as a meat substitute. 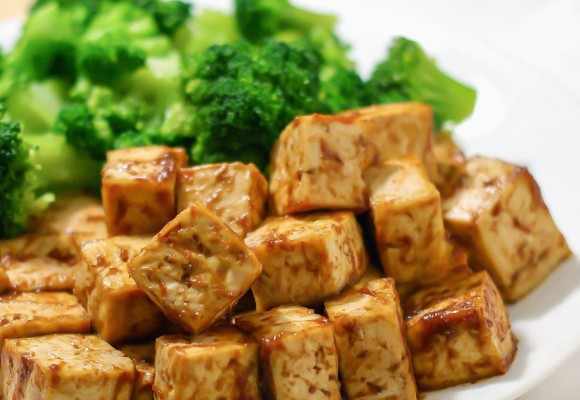 For vegetarians, tofu is a great source of calcium, phosphorus and iron. Tofu cheese is well known as food that is low in fat and cholesterol, yet rich in protein. It also contains coenzyme Q10, which acts against aging, also stimulating ovarian function. The calcium in soy cheese is a tonic for the bones, keeping blood pressure at normal levels. Soy cheese, rich in vegetable protein, contains 8 important aminoacids useful for the body. This type of cheese is easily digestible. Soy cheese has female hormones that protect the skin from oxidation, but also has anti-prostate cancer properties, anti-osteoporosis and anti-breast cancer. Lecithin from soy cheese helps develop memory, blood vessels and nerves. Soy cheese also reduces the amount of assimilated cholesterol. Soy cheese has important therapeutic properties, containing polyunsaturated fatty acids. The therapeutic action of this food is based on stimulant properties, fortified, invigorating, energizing and remineralizing the body. It helps to relax the nervous system. 1. Mix the above and bake at 400 degrees for 35-45 minutes or until brown. 2. Remove from oven and mix in 2 Tbsp. Bragg’s Liquid Aminos and 4 Tbsp. nutritional yeast. Serve.